UK PM row highlights plight of forgotten mothers. UK PM candidate says she's a better choice than her childless opponent because she's a mum. A Melbourne based mental health expert says the latest political row in the UK over motherhood highlights the plight of “forgotten mothers”. UK Prime Minister, David Cameron, resigned after the shock result of the Brexit referendum last month. The Conservative Party are now in the middle of a tense leadership campaign. Currently the two frontrunners are Andrea Leadsom and Theresa May. 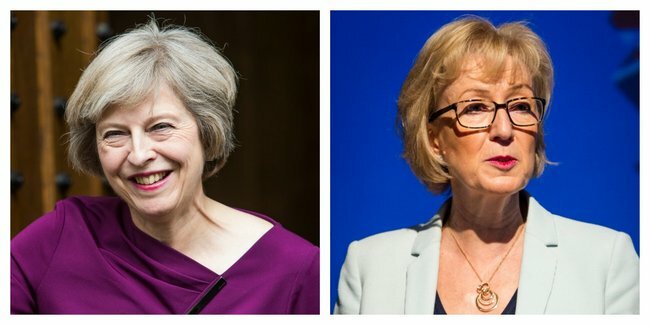 Mrs Leadsom has caused a heated debate in the UK after suggesting she would be better a better prime minster than her rival – because she is a mother. After apologising to Mrs May, Mrs Leadsom said motherhood should not play a part in the leadership campaign, adding that she was “disgusted” about how her comments were presented. Her original comments were reported in an article in The Times with the headline: Being a mother gives me the edge on May – Leadsom. Australian counsellor Caroline Thurling, a specialist in involuntary childlessness therapy, says the comments were “dangerous”. “Thousands of childless mothers, yes mothers, who suffer quietly with a life without children, have been harmed by this,” said Ms Thurling. Caroline Thurling says the identity of women is so heavily placed on motherhood. Image via iStock. Ms Thurling started her involuntary childlessness therapy after going through a depression because she didn&apos;t have children. She now provides therapy to other women who have issues around childlessness. The 46-year-old says that the debate over Mrs Leadsom comments has broken the silence for society&apos;s "forgotten mothers". "A forgotten mother is technically someone who hasn’t had children but always thought they would," says Ms Thurling. "They are people who were born or evolved to have very strong maternal qualities that would have raised wonderful human beings and they’re forgotten." The counsellor said she was "livid" with the comments at first, but now welcomes the debate as a good way to highlight mental health issues for "forgotten mothers". "It’s good to talk about it because the identity of women is so heavily placed on motherhood. That affects us all differently. For mums it puts undue pressure on them, for non-mums it’s hurtful," she said. "It splits up the sisterhood a bit. There’s an unspoken tension between mothers and non-mothers that shouldn’t be there, because they’re equally impacted by society’s views of what motherhood should be and what woman should become." The Melbournian says she dropped into a deep depression after realising she wouldn&apos;t have children. "I wanted to have a child for the child’s life not mine. I could’ve had a baby a few times with idiot ex-boyfriends but I made a decision not to because I knew it wouldn’t be good for the child. "At about 42, I just thought this is not happening. It was my own line in the sand. When I had that self-realisation that’s when I went downhill pretty quick." The Melbourne based counsellor now helps her clients tackle the cultural and social views surrounding women and children. "So many people have children that we know shouldn’t and there’s so many people that don’t have children that probably should’ve and it all comes down to that maternal quality and the quality that would raise really wonderful human beings." Women share experiences of emotional abuse on Twitter.